We know your soft floorings are an important part of your home interior and help create comfort and warmth for your family. 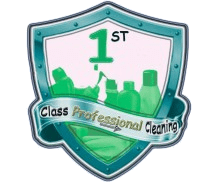 Let the expert carpet cleaning and upholstery cleaners in Reading take care of your textile floor coverings and make them clean and fresh again. This service is a deep treatment of your soft coverings with either hot water extraction or dry powder cleaning. Have your carpet, rugs, sofa, armchairs, dining chairs, curtains, mattress thorough cleaned by the trusted experts. Depending on the used cleaning technique, it may take a few hours for the carpet to dry, less if you open a door or a window. NOTE: The older the stain, the harder it is to be cleaned. Old stains are extremely difficult to remove, especially if they are from: gum, wax, water-based paint, ink, coffee, cola, rust, red wine, permanent marker, food, etc. The best protection – act fast, don’t postpone. We offer both Hot water extraction method appropriate for synthetic fibres and Dry cleaning method – for natural and delicate fibres. The hot water extraction method is suitable for synthetic (microfiber, polyester) and woollen materials. It works best because it removes over 95% of the dirt, dust mites and bacteria. How it works: The professional industrial-grade machine injects hot water under high pressure into the fabric and excerpts it afterwards, along with the dirt. Please keep in mind it will take a few hours for the item to dry out completely.